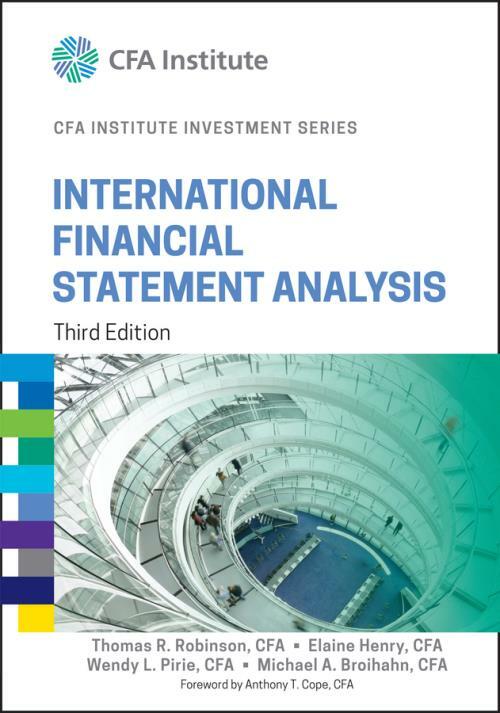 The third edition of International Financial Statement Analysis includes up–to–date information for the successful assessment of company performance and financial position regardless of an organization′s country of origin. Written by the experts at CFA Institute, this important resource offers a clear reference that covers all aspects from financial reporting mechanics and standards to understanding income and balance sheets. This comprehensive guide includes effective analysis techniques that help present the knowledge in real–world application. The third edition also contains the most current standards and methods and includes the complete statement analysis process. Information on income tax accounting, employee compensation, and the impact of foreign exchange rates on the statements of multinational corporations is also included. International Financial Statement Analysis, Third Edition offers the latest rules and best practices, with clarity and expert advice.